Brochure on Bringing Graphic Novels into Your Classroom! Read more about Brochure on Bringing Graphic Novels into Your Classroom! 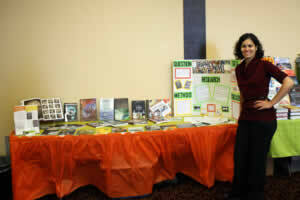 I recently presented at the Minnesota Reading Association Conference in Brainerd, MN. While there, I met lots of other teachers who were interested in my research on graphic novels and wanted to know what kinds of graphic novels they could bring into their classroom. So, I decided to write a post dedicated to them! 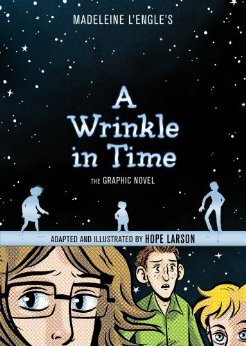 I loved A Wrinkle in Time by Madeline L'Engle growing up. I'm fairly certain I didn't understand several major concepts that wove through the book, but I loved it anyway. The dynamics between Meg and her brother Charles Wallace were enough to hook this reader. 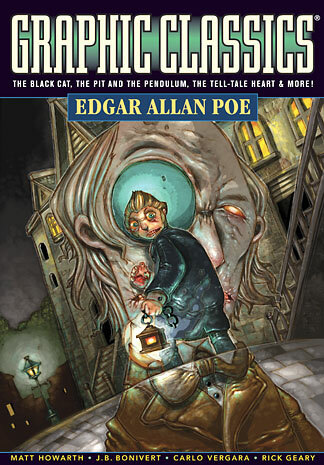 After delving into the Graphic Classics world with Edgar Allan Poe, we started exploring more graphic novels as a group. 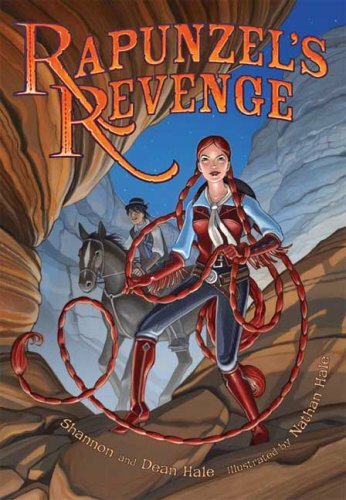 Next up: Rapunzel's Revenge by Dean Hale, Shannon Hale, and Nathan Hale. Students in grades 5-8 will love this spunky main character and unique take on Rapunzel. I was surprised to discover that several of my 7th and 8th grade students were at first hesitant to read a graphic novel. It was new and different. I spent weeks creating, editing, and revising the pre- and post-quiz. I had to double-check every question I came up with to ensure that the students could find the answer in the graphic novel and original text versions of the Poe short stories “William Wilson” and “The Cask of Amontillado.” It was a frustrating task at times, but I came up with 15 true/false questions and 20 multiple choice questions in all. With the quiz ready, it was time to get started! With the annotated bibliography and literature review complete, it was time to begin my action research. For those new to research, or not familiar with the concept, action research is essentially the study of a subject (aka person) to monitor the effects of some kind of intervention. The research typically answers some kind of “yes” or “no” question, such as “Do graphic novels positively affect student comprehension when used in the classroom?” Action research quantifies the results of the study and typically includes graphs or charts.